In 2011, while a member of Object 9, I worked with designer Kyle Phillips to develop a web application for Radio Flyer. 100% of all the functionality was developed by me. The application was completed in about 25 days. 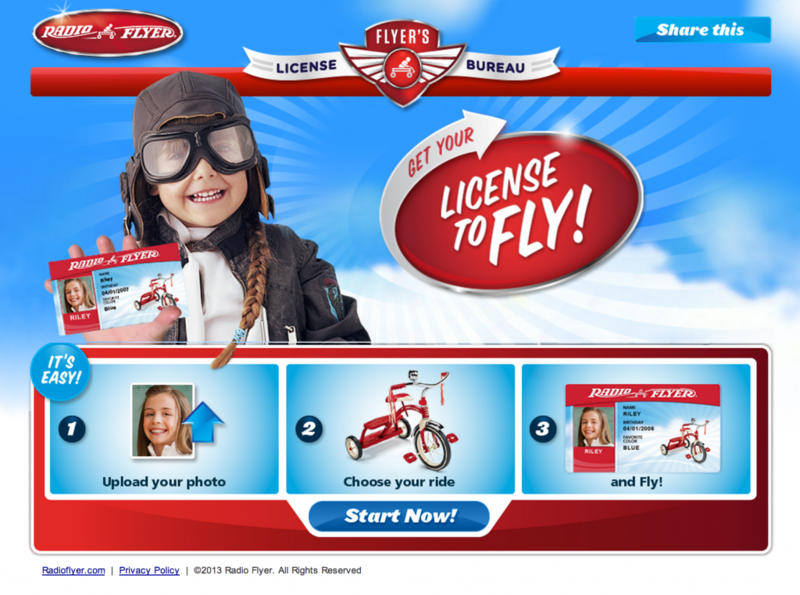 The application allows users to post information about their child, and create a “License to fly” for their Radio Flyer product. Approximately 1200 users per month were creating licenses (as of July 2012). For our hard work, we won numerous regional and national awards for this application.